Ok, so the only reason I’m blogging about this case is so I can show the logo for Orange County Choppers (OCC), of “American Choppers” fame. As logos go, it’s one of the best ones out there. If you’re thinking this general description of copyright ownership is an invitation for trouble, you’d be right. The concept of separability isn’t defined – it could mean whether the original OCC trademarks are set apart from the rest of the design, whether the designs have commercial appeal standing alone, or whether there is independent copyrightability once the trademarks are removed. These are all concepts that were discussed in opinions in the case. OCC then made the ill-fated decision to sue ODM in state court for non-payment of royalties. ODM responded by filing a third-party complaint against two, and ultimately 25, of OCC’s other licensees, alleging copyright infringement of its designs. OCC had indemnified these licensees from claims for copyright infringement of designs that OCC either “owned or controlled.” For several years OCC paid for the defense of ODM’s claims against its licensees on the theory that OCC was the owner of the copyright in the designs. Then in October, 2009, OCC and ODM settled their cases against each other, after which OCC stopped paying for the licensees’ defense and claimed that it had no duty to indemnify for infringement of ODM’s copyrights. The remaining four licensees (in a now-severed suit) moved for summary judgment asking the court to hold that OCC has to indemnify them on their still-outstanding claims for copyright infringement. ODM also moved for partial summary judgment that it owns the copyright in the designs. I believe that what the Licensees are arguing here (even though they do not quite come out and say it) is that, even if OCC did not “own” or “control” the intellectual property rights to the graphic designs at issue within the meaning of their License Agreements, it should nonetheless be estopped from asserting that it did not own or control them–because it supplied the Licensees with the designs that contained ODM Property–and so it should be estopped from invoking the literal definitions of types of “property” contained in the Agreements as a ruse to escape its otherwise-applicable indemnity obligations. Based solely on the incomplete record presently before the Court, I can see considerable merit in such an argument. It is settled as a matter of undisputed fact that the Licensees were provided with drawings or designs that they were expected to incorporate into their products. The Standard Terms and Conditions attached to the Group I Agreement and the Group II Agreement plainly state that “all designs of the Licensed Product, including drawings, artwork, photographs, sketches, layouts, patterns and material compositions … are developed for the sole benefit of Licensor and any and all proprietary interests and ownership rights related to any design belong exclusively to Licensor.” That clause does not mention ODM, or suggest that portions of the proprietary interests and ownership relating to any “design” might not actually belong to OCC. Furthermore, the License Agreements also required the Licensees to place a copyright notice (© Orange County Choppers) on any products created using the Licensed Property. It does not require the Licensees to acknowledge any copyrights owned by ODM. 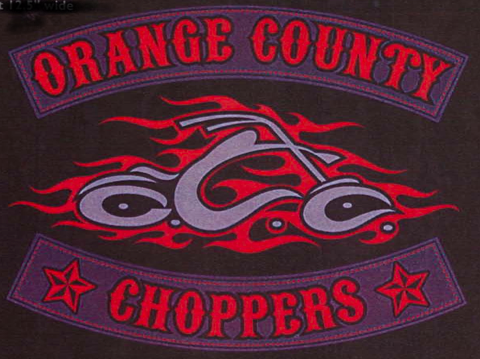 Finally, and of critical importance, it is perfectly clear, from the position that OCC took from the outset of its litigation with ODM up until the moment when Judge Conner denied its motion to dismiss the counterclaims, that OCC did not believe that its intellectual property consisted only of the letters “OCC” or “ORANGE COUNTY CHOPPERS,” shorn of the vibrant graphics that were probably the principal reason why a customer would want to wear a licensed T-shirt or tattoo in the first place. OCC’s behavior through the first three years of this litigation demonstrates that it plainly believed, when it entered into the License Agreements with the Licensees, that it owned what may actually be ODM Property. This conclusion is reinforced by the fact that it provided for Licensees’ legal defense for more than two years. However, the record does not include all the information that would be necessary to dispose of the Licensees’ estoppel argument. . . .
ODM’s motion for summary judgment on the copyright claim was also denied for essentially the same reason, that the fact finder has to decide who owns what copyright. The apparent intent behind ¶ E of the Standard Terms and Conditions of the Agreement is to maintain OCC’s ownership of the OCC Property and, to the extent that the designs are inseparable from the OCC Property, to avoid effectively transferring ownership in the OCC Property by virtue of ODM’s ownership in the overall design. For example, if the design consisted merely of the words “OCC,” however depicted, ODM would not own the design. However, if the design included ornate drawings and the words “OCC,” OCC could not claim ownership of the complete design merely because its property was incorporated therein. In the latter case, OCC would retain its ownership of its property and ODM would retain ownership of the design unaccompanied by the OCC Property. The Agreement’s failure to specifically prohibit the unauthorized use of ODM’s intellectual property is hardly surprising, however, as federal copyright law undoubtedly governs the matter. So OCC either couldn’t get the agreement it needed – full ownership of copyright – or broadly read all of ODM’s copyright ownership out of the agreement it did get. It then went even further out on the limb by indemnifying its additional licensees. Indemnification is undoubtedly a business necessity, particularly where OCC was providing the very designs to be used, but still an aggressive promise given the agreement with ODM. I can’t imagine this case won’t settle out. 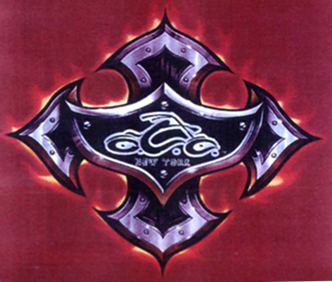 So, who knew that “Orange County” in “Orange County Choppers” meant Orange County, New York?